This level of customization is being offered by Danny Gray, a manufacturer that has been creating high performance, purpose built seats for forty years. Making products for leading manufacturers such as Harley Davidson, as well as being the choice of top builders for one-of-a-kind seats for their custom bike creations, Danny Gray claims to have ‘provided more custom seats for more projects to more builders than any other single manufacturer in the world’. Enjoying this motorcycle pedigree for a unique seat involves six easy steps. From choosing a stitch design, thread color and even add inlay materials, Danny Gray notes, ‘The hardest part is making up your mind’ in this custom process. Aside from the customization options outlined above, Danny Gray promises every seat is sculpted to maximize anatomical support. This includes soft nose and hard rails to assure a perfect integration and fit as well as a narrow leg pass to help riders have a flat foot position when stopped. 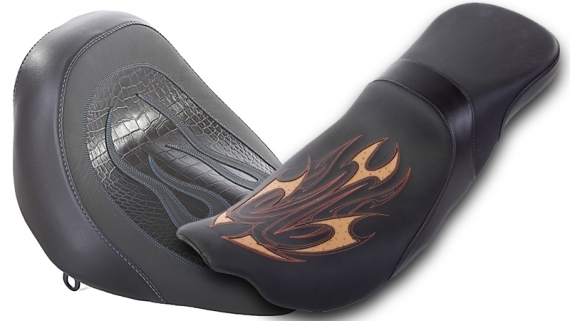 The custom product uses proprietary seat pans to provide torsional stability and specially formulated foams that are seat specific for balance, compression, float and response. Finally, Danny Gray’s seats feature top grain cowhide leather, high-grade automotive vinyl as well as breathable tech space mesh material. Readers paying close attention to the above may note these seats are focused on Harley-Davidson motorcycles. Asia. 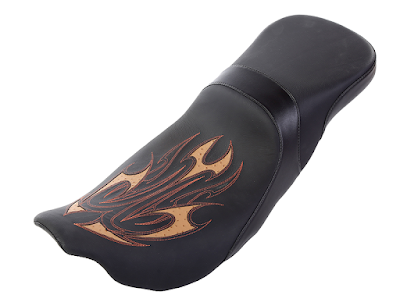 "Making Custom Motorcycle Seats Truly Custom." Clutch and Chrome. Accessed September 02, 2016. http://www.clutchandchrome.com/products/828-making-custom-motorcycle-seats-custom-609014.